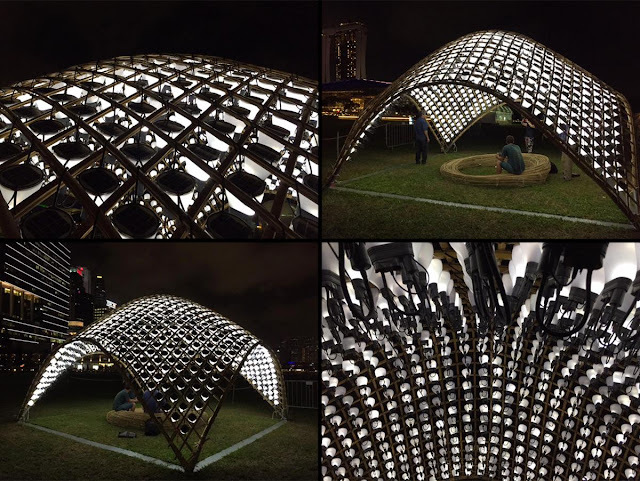 Norwegian architects Snøhetta have today (4 March) launched a solar-powered light installation in Singapore to promote energy efficiency and environmental sustainability. 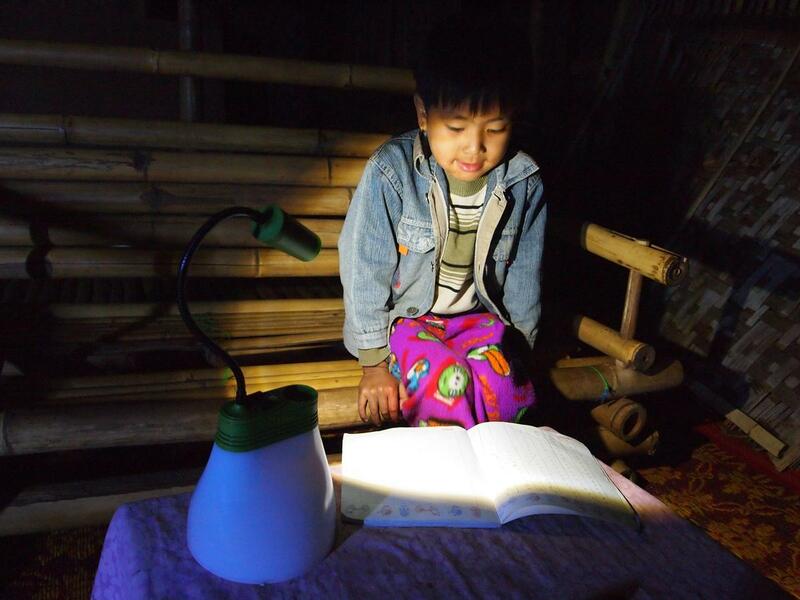 The structure – called Lampshade – is a simple bamboo volume covered with photovoltaic (solar power) cells. It is is filled with intense light during the evenings using solar energy collected during the day. The installation is being displayed at i Light Marina Bay, Asia’s leading sustainable light art festival. Snøhetta said they want to show the direct link between capturing sunlight, the production of electricity and the power of light. “The transformation and continuance of light happens within the same system, bringing the light from outside to inside,” the studio said. “The installation challenges the perception of light as being independent from its energy source. Snøhetta collaborated on the projects with Norwegian NGO Partnership for Change, Thai architects Bambooroo, the Singapore University of Technology and Design and Norwegian solar lamp provider Bright Products AS. After the festival, which finishes on 27 March, the lamps will be donated to communities where there is no grid or other electric energy source. The bamboo will be donated to construction sites for used as scaffolding. Other recent light festivals exploring the possibilities of light and energy include Luminotherapie in Montreal and Lumiere in London.